Cabeau, a world leader in consumer travel products, is delighted to announce that it has joined Asia Pacific Travel Retail Association members. As the first travel accessories company to join the trade association for the duty free and travel retail industry in the Asia Pacific region, the brand is demonstrating its dedication to strengthening its presence in the opportunity- filled region. “Joining APTRA is another step in the right direction for Cabeau in becoming the number one travel accessories brand in Asia Pacific,” said David Sternlight, Founder and CEO of Cabeau. “We are dedicated to the travel retail channel; we want to help grow the business and protect it when challenges arise, and this is a key objective of APTRA. To be the first travel accessories company to join APTRA is real pleasure; we want to lead the way in the travel retail industry.” As a member of APTRA, Cabeau will have the opportunity to participate and benefit from the association’s programming including through: Technology-led initiatives, seminars and conferences where APTRA serves to facilitate contact between members; Intensive consumer and market research where APTRA provides a solid knowledge bank, bringing valuable, actionable data relevant to all sectors; Regular communication where APTRA seeks to spread awareness and knowledge about the industry and the importance of travel retail for governments, airports, airlines and related businesses; Regional monitoring, and in collaboration with member companies and trade associations in other parts of the world, where APTRA is constantly on the alert for new challenges where its advocacy on behalf of the industry is needed with national governments and policy-makers to safeguard and grow the business of all concerned. The geographical area covered by APTRA includes countries in Eastern Asia, South Eastern Asia, South Central Asia and Oceania. ## About Cabeau Cabeau creates exceptional and affordable travel products for all of life’s journey’s. 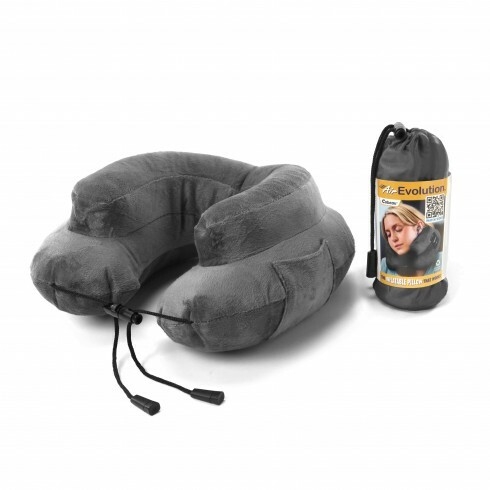 Our company began with one simple mission: to find a travel pillow that actually works. What started with the Evolution® Pillow has now evolved into a smart assortment of solution-driven products. Each one is specifically designed to make travel easier, more manageable and infinitely more comfortable, turning every trip into a first-class experience. Cabeau’s award-winning travel pillows, comfort products, and accessories are available in over 110 countries worldwide. For more information, visit www.cabeau.com.